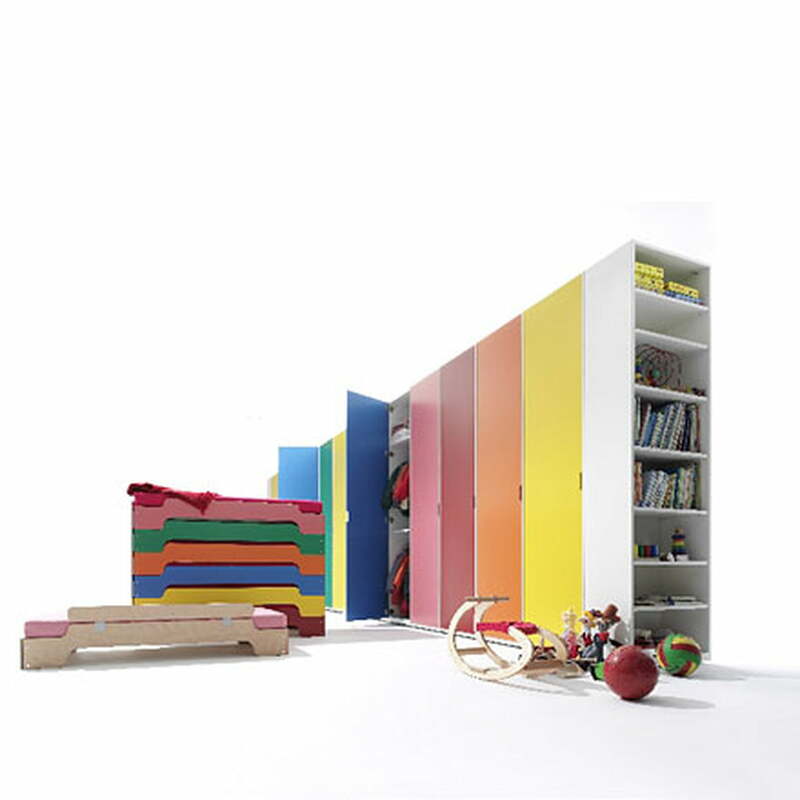 Sun yellow, sky blue and grass green – for children there is only one color existing: multicolored! 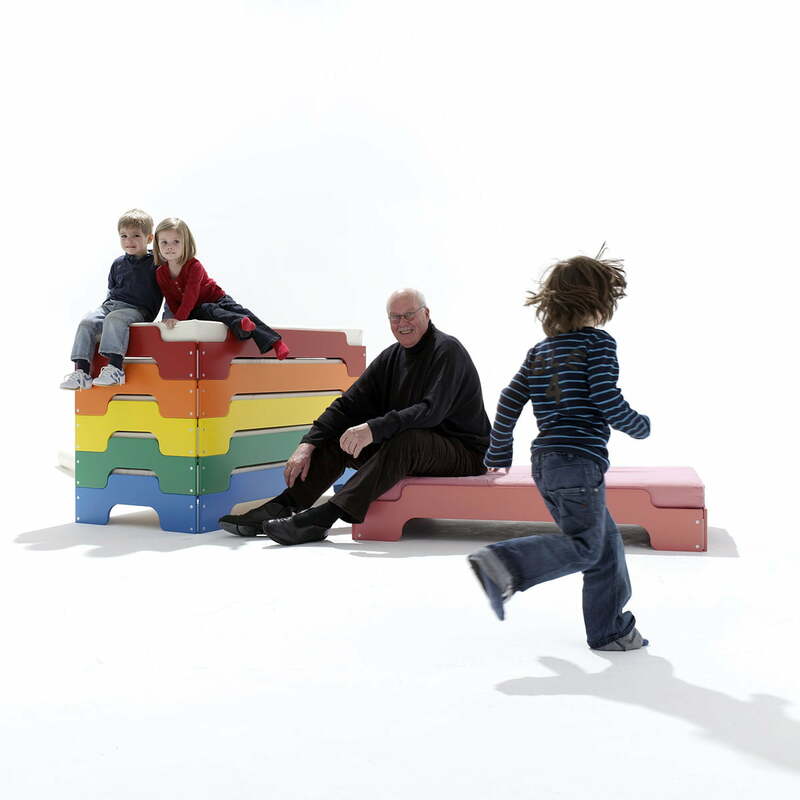 The classic Rolf Heide stacking bed by Müller Möbelwerkstätten is not only ideal for children because of its stability and longevity, it also makes kids happy with its multitude of colours. 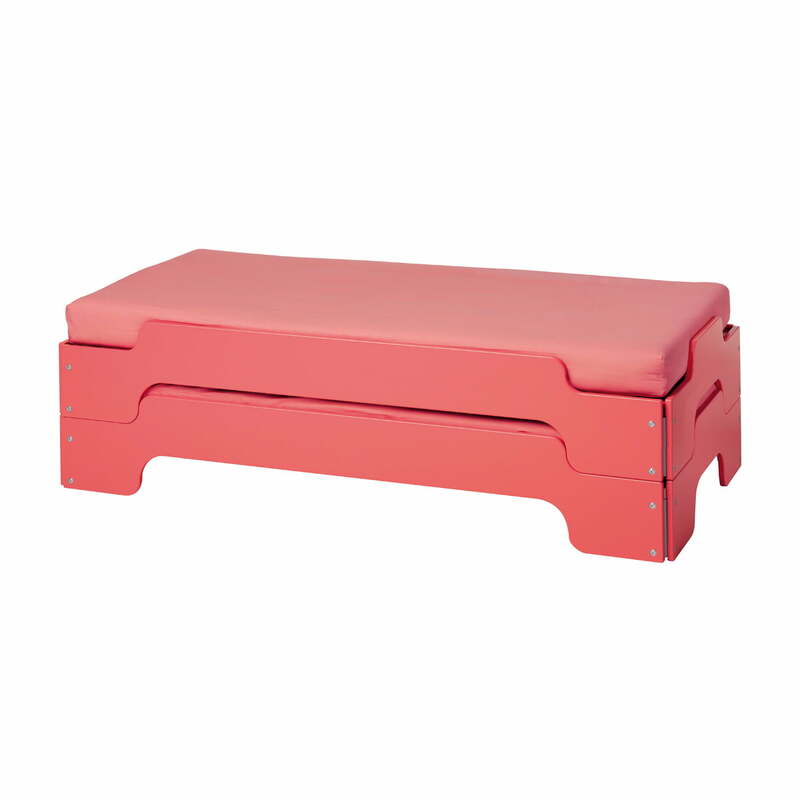 Due to its functional design, the bed is easily stacked offering enough place to play and run around. 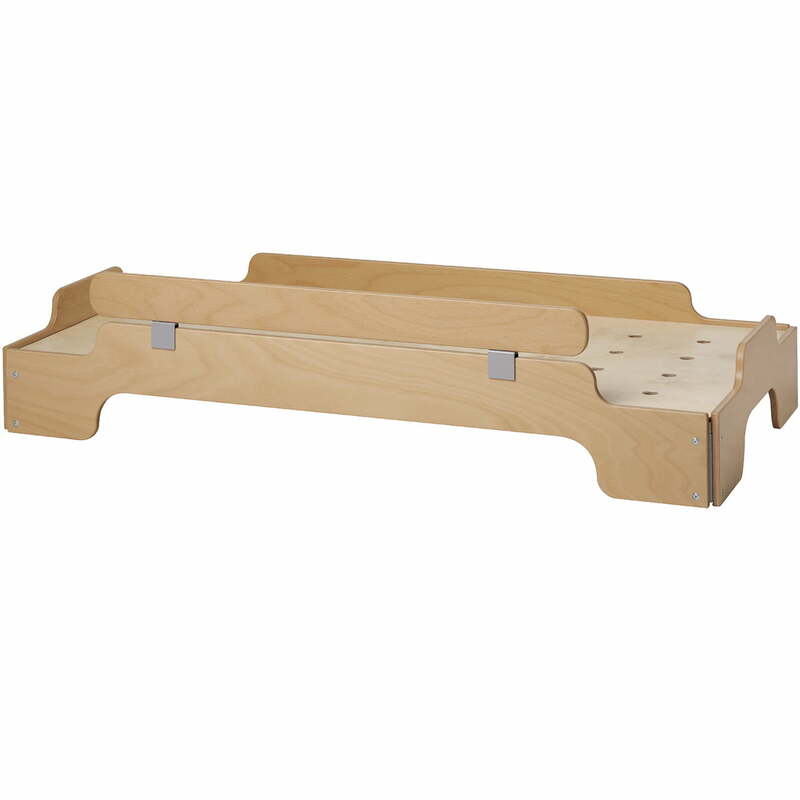 At noon it becomes a bed – the barrier board prevents the little ones from falling out. 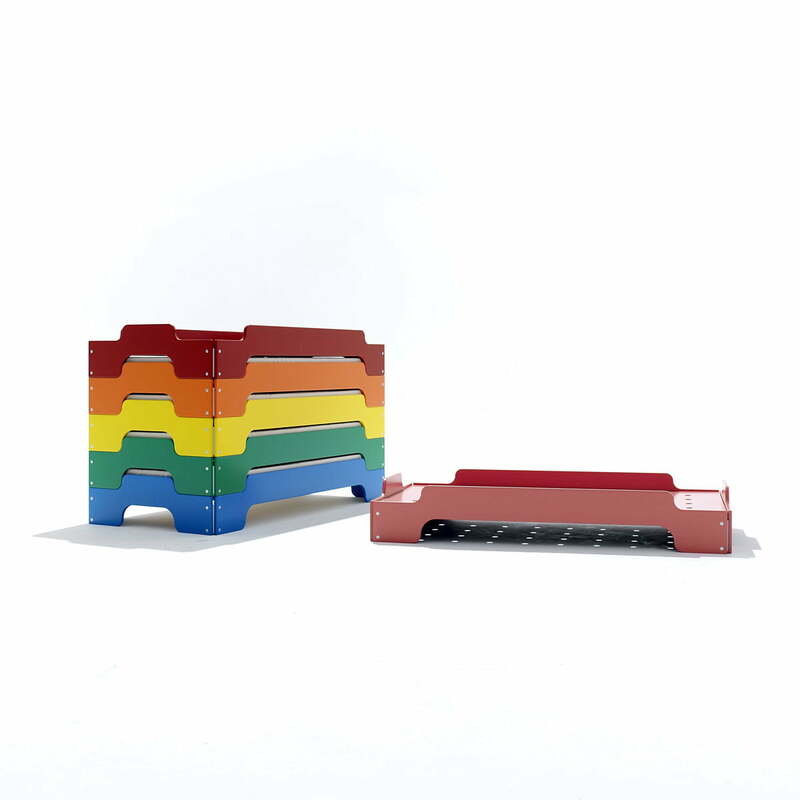 An optimal complement is the modular shelving system: through its combination versatility it creates nearly unlimited storage room. 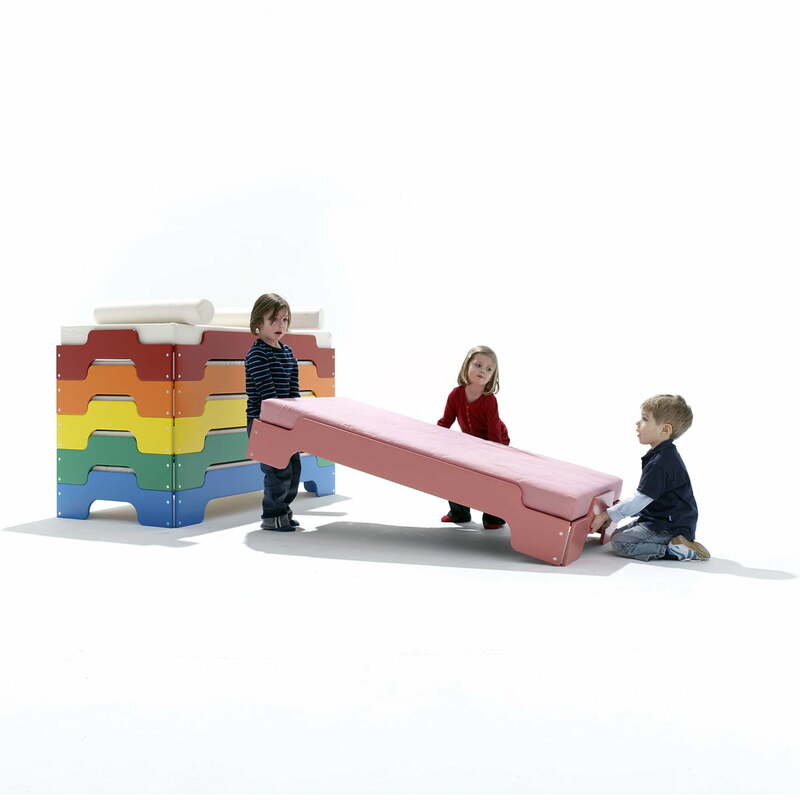 As an option, you can also request additional elements for the children's stacking bed like the barrier board or a matching decorative mattress cover. 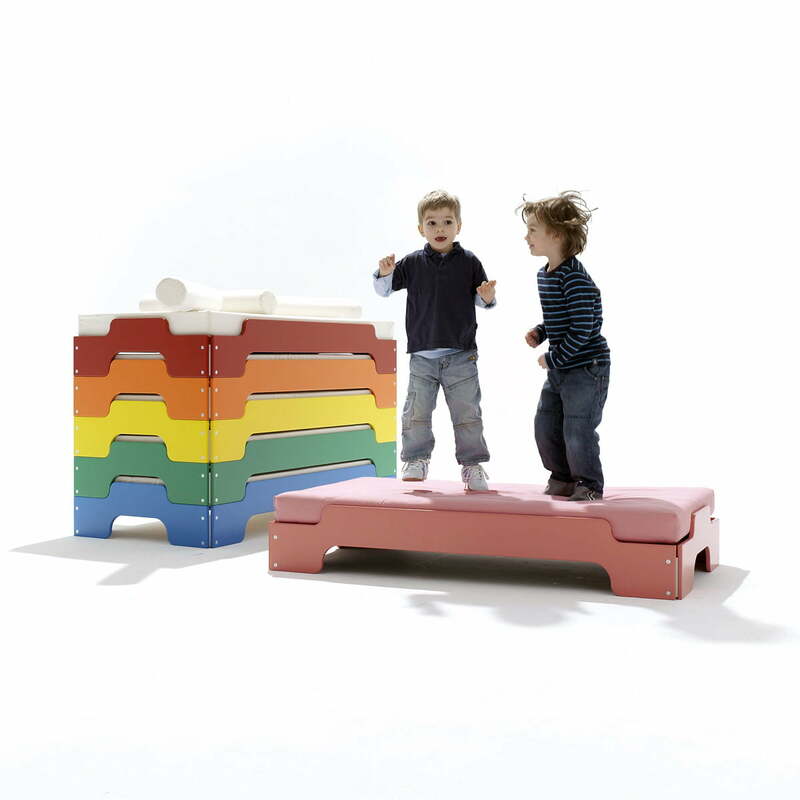 Furthermore the children's stacking bed is also available in different colors (pure white, light grey, window grey, white aluminium, graphite black, pigeon blue, grey brown, oxide red, anthracite grey, raps yellow). Please note that there is no slatted frame included in the delivery package. 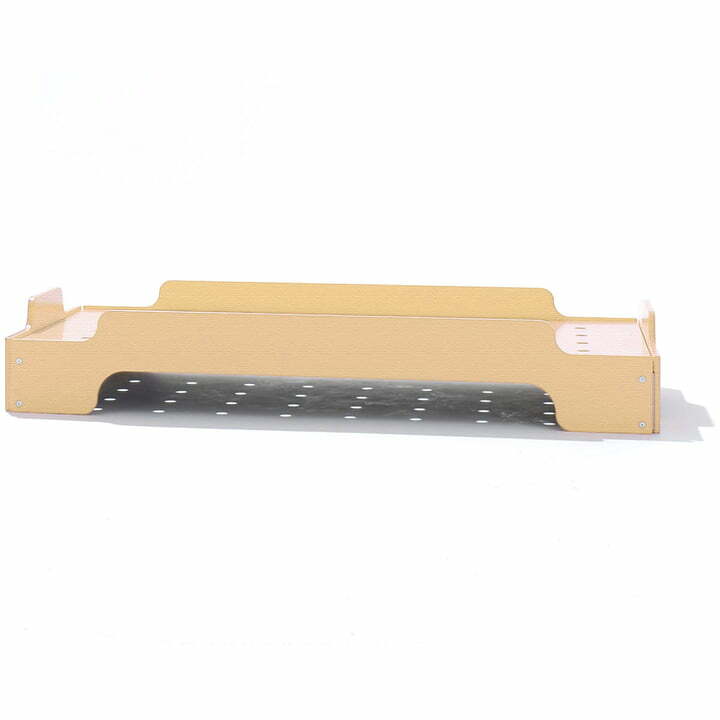 For this reason, we recommend you order the perforated insert plate.